The heartbreaking and inspiring story of one of America's deadliest battles during the war in Afghanistan, acclaimed by critics everywhere as a classic. slow going but excellent in its whole. My husband was deployed with this group and this book is spot on with the accuracy. 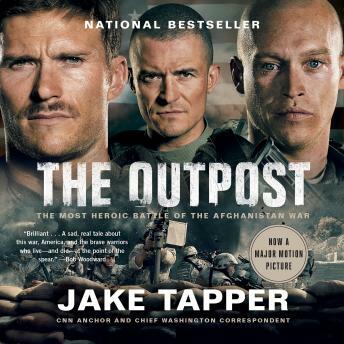 Jake Tapper went out of his way to encompass not only the events but the heart and soul of this important chapter in OEF history. We were very pleased with his telling of this story. The narrator was great also. There wee so many difficult words in this story with the names of Afghanistan towns, languages and names. He went thru them flawlessly and eloquently. Very enjoyable! !